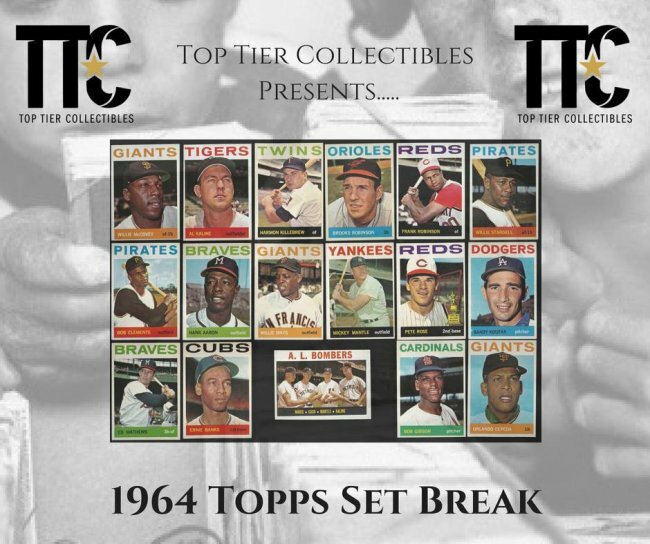 Top Tier Collectibles Inc is proud to be brining this amazing 1964 Topps Complete Live Set Break to you FROM THE NATIONAL! This will run August 1st at 8 PM EST from our hotel room, however we will run this a lot sooner if it fills before hand. Imagine winning a Mantle, Koufax, Clemente and Mays for $20? It could actually happen haha. 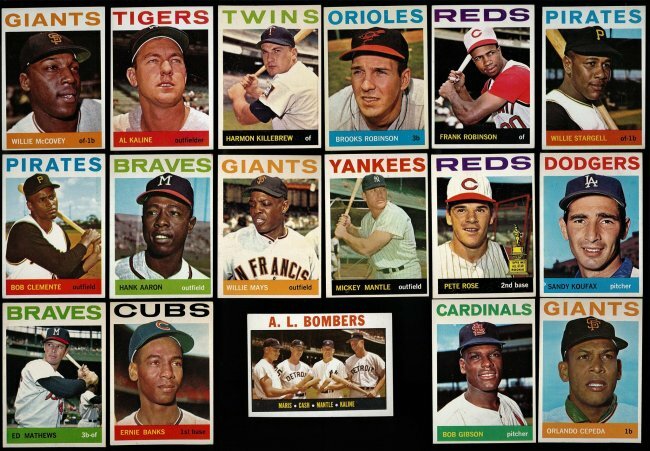 We have meticulously gone through the entire set of 587 cards and have confidently given this set a grade of Excellent with some cards grading out higher and some a bit less. There are NO BEATERS! All cards are presentable and would grade at least a VG (most much better). 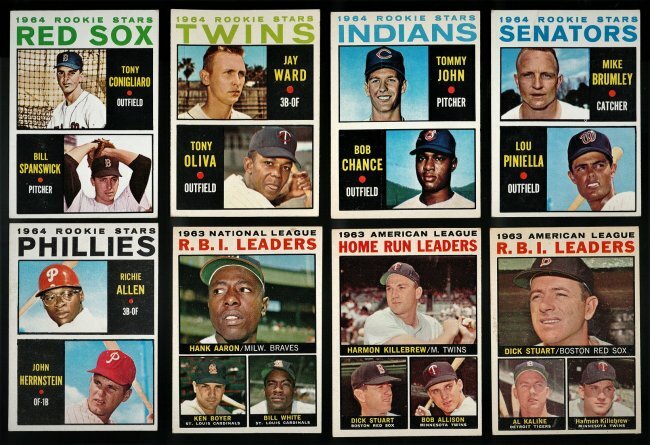 Since 587 cards is not a divisible number, we have added an extra Willie Horton RC which brings us to a total of 588 cards. We are offering up 147 spots at $20 a spot. Each spot is guaranteed 4 cards! This will take place Live via join.me screen sharing service. Once all spots are filled, we will build a list of 588 names. Each spot counts as 4 names. We will then run a random using random.org to come up with a master list, and match that to the 1964 Checklist. Whatever card(s) your names match up with are the cards you win! 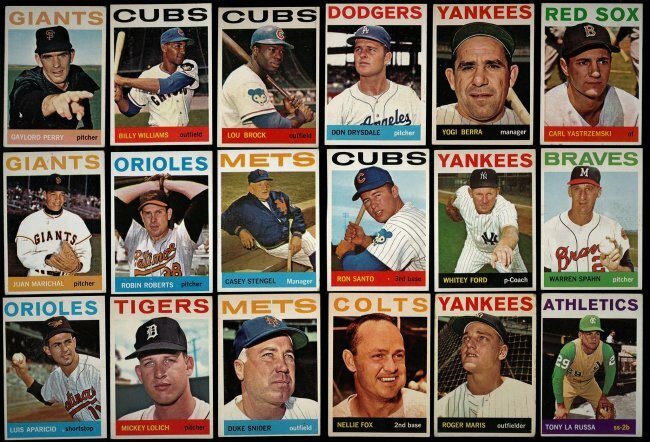 This set is LOADED with HALL OF FAMERS and HIGH NUMBERS! 55 HIGH NUMBERS TO BE EXACT! We have photographed all key cards and high numbers. 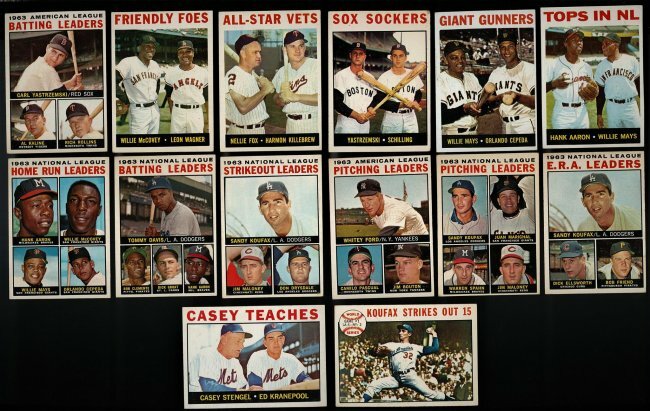 The highlight of this set is obviously the Mickey Mantle and Pete Rose 2nd Year Card, however you can't go wrong with Willie Mays, Hank Aaron, Sandy Koufax, Roberto Clemente, Al Kaline, Harmon Killebrew, Ernie Banks, Bob Gibson, Willie Stargell 2nd year card, Frank Robinson, Carl Yastrzemski and so many more!!! Last edited by EYECOLLECTVINTAGE; 07-18-2018 at 11:06 AM. only 52 Spots left! 95 Spots have sold in 3 days! do not miss this one.